What do you mean by 'backing up' ? I think he means stalling . . . falling back when unhooking. The previous Razors and Rise had the venturi to help prevent backstalling. 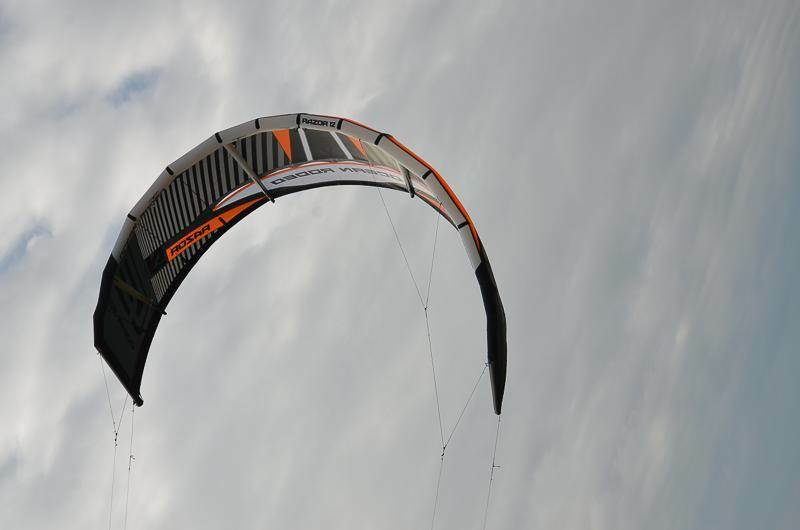 The Razor has a lot of built in angle of attack which makes it a more powerful kite for its size and very reactive to bar input. 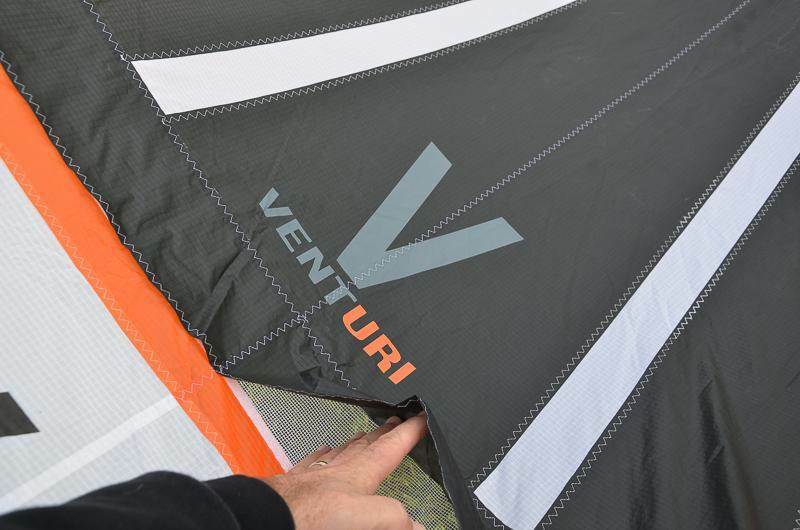 The venturi vents (first used in 2008 on the Rise) were introduced to help offset some of the negatives of this shape, and allowed the kite to continue to fly forward at a high angle of attack. OR have redesigned the profile enough to no longer need the venturi. This will give a slightly smaller wind range than previous models, but a lighter and more nimble kite. The previous season razors had a big range. OR are also heading towards a single front line flagging and moving away from the roll over bridal. 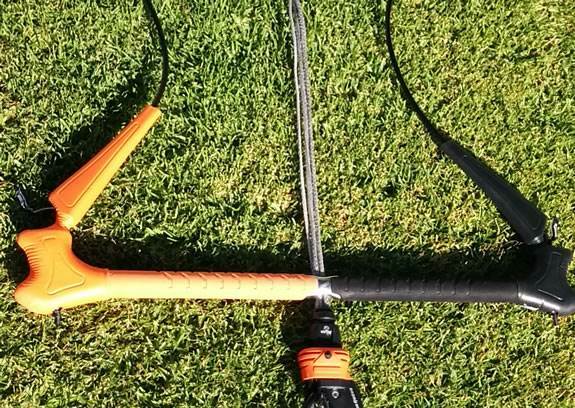 The kite still has 4 pulleys but combined with the new bar two will be able to be 'locked'. The new bar will have soft ends and very shortly an updated swivel system, one 52cm size. Here is the proto we've had for a while. Personally I think its great OR are mixing it up a bit and not stagnating tweaking every year. The release of the new Flite 10 & 12m kites have allowed them to play more with the razor, and the bar needed soft ends and bit of an update. Awesome kite. I have a 12 & 7 with a 9 on the way! I use it for everything from unhooked, big air, loops to waves. 2015 bar got heaps better as well. My only gripe is that they still use the same Chickenloop as last 2 years. The CL could be a bit more "open" to hook back in. i hope they sort out the depower rope setup. mine freeride bar is hard to pull in depower... looks like the same mechanism as previous years. Are you talking ATB or BTB? The BTB is hard to depower at times, the same as most BTB trim systems I have tried, but I haven't had any issues with the ATB as yet. Below the bar depower can get a bit tricky. I've found that depowering onshore is easiest with a slight downward tug on the rope above the bar first and then pulling down from the cleat. When out on the water, bearing off momentarily takes some load off the trim line and makes depowering easier. 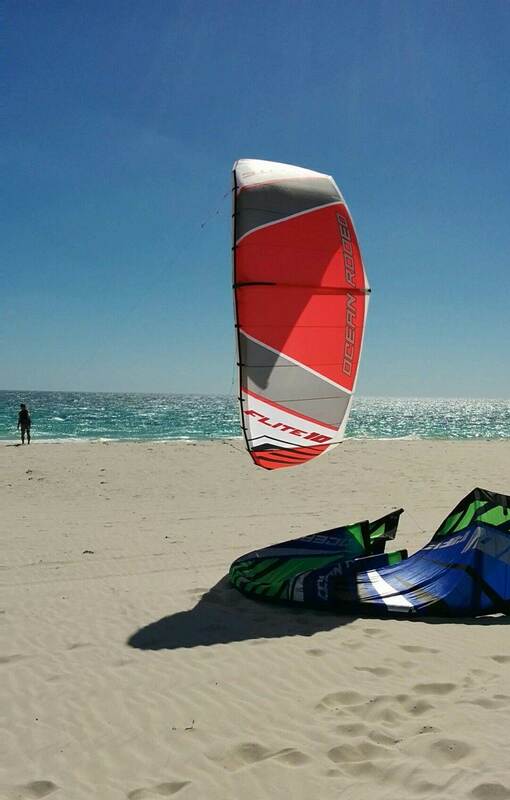 I've been flying the following Ocean Rodeo kites up at Mullaloo in recent weeks: 10m Flite + 8 and 10m Razors (all 2015) - The Flite is a surprisingly efficient, high aspect kite which will get you out on the water in less wind than you would normally expect to be out there. The new Razors are fast, grunty and built tough. They are lighter than previous years and I did not experience any sense of backstall. The kites have been flown in recent weeks by some very competent kiters (far better than me) and their comments to me have been very positive. Anyone wanting to have a go can PM me to set up a demo time up here in the Northern suburbs. The 2015 Razor has been redesigned with a bridle lock. The bridle pulley can be locked for a tight snappy feel with less overall depower, reducing the sheeting range. 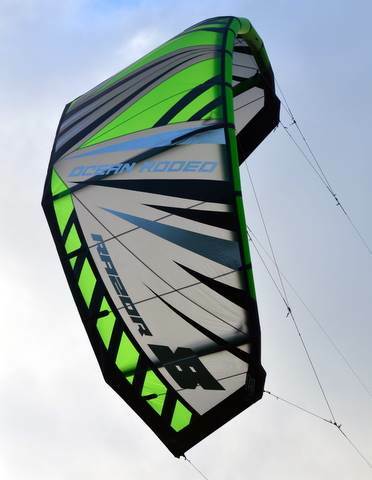 Unlock the bridles for days that demand the added sheeting range and overall depower modern SLE kites now afford. Still using the FST again this year and still the settings on the shoulder and wing tips. Arriving shortly and a deal on pre-order atm. Friggin love these kites !!!!!!! what is the venturi? have any picks of this? no venturi on the 2015 model. They are vents that are on the canopy of the 2012 to 2014 model Razors. OR says that it helps that design not stall as much as it would without. 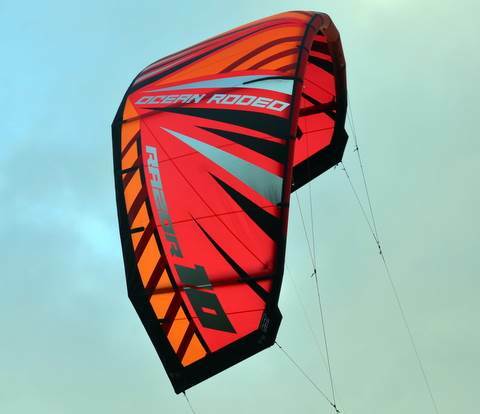 2015 Razor is a new design that OR say does not require the venturi in order to be stall resistant and there removal also makes the kite a bit lighter. Here you go. As Max said the venturi have been designed out of the gen5 razors. Speculate as to whether they work or not, but the razors with them fly much better than without I am told. I have not experienced any backstalling on the 2015 razors. The correct term is " speed holes "